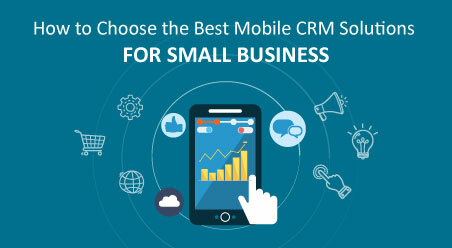 Are mobile CRM solutions for small business a must for all SMBs? How can you choose the best CRM? Which is the best mobile CRM platform? In this article, let us answer these questions and a few others. In the recent times, it has been observed that mobile devices (like smartphone, tablets etc.) 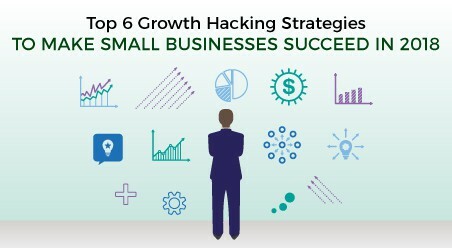 have become an ever increasingly important tool for small business owners looking for an advantage in this cutthroat competitive world. Truth be told, the mobile version of Customer Relationship Management technology has indeed taken business productivity beyond 10 to 5. With mobile CRM solutions for small businesses, field workers can now access the central database of any organization and update the information on the go. Executives can also view reports in real-time in order to finalize on instant decision making, round the clock. However, irrespective of whether his predictions are coming true or not, for any small and medium business owners, the advantages of using mobile CRM application is extremely hard to ignore. Offer the freedom to do things that you could not have done otherwise, i.e. record videos and voices, take a photo, use and monitor GPS data, voice calling the contacts on the go, etc. 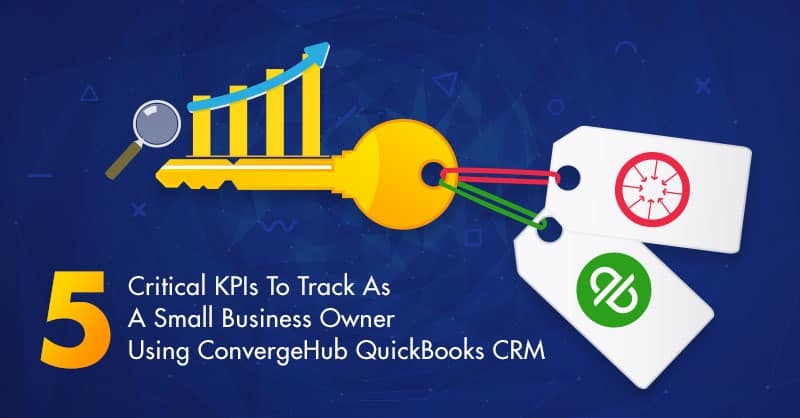 Before you pick up any mobile CRM solution for your small business, make a note of the specific benefits that you want to achieve by implementing this business management system in your company. The most important thing that you must keep in mind before purchasing any mobile CRM is your end-users and so you must plan a “mobile strategy” which is most helpful for them. Now, after you have planned and defined yours end user’s needs, it is time to select your CRM platform. Different CRM vendors offer mobile CRM designed for different devices (like iPhone, Android etc. ), so as an SMB (Small and Medium Business) owner, you can minimize all sorts of costs, which may include device cost, administration cost, data cost etc. by buying a standard platform for mobile CRM implementation. If you have a larger setup, before rolling out your mobile CRM solutions for small business, across your entire organization, it is highly time and cost effective, to test the CRM by making it operational for a smaller set of people in your company. Most popular mobile CRMs like ConvergeHub are quite simple and do not require any training. However, if you are opting for a multifaceted CRM, never skip their staff-training programs. It is because, if your staffs fail to use the application properly, your whole investment may as well do down the drains. At the end, always make sure that you perform an extensive evaluation and then analyze how going for mobile CRM application as a whole, has affected your team’s performance. This type of mobile CRM solutions for small business usually makes use of HTML5 and so do not require any download or installations. 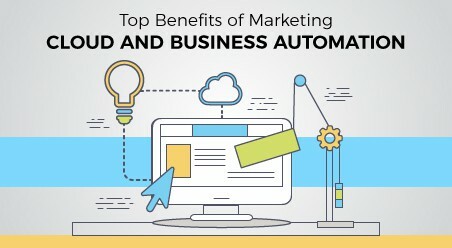 The biggest advantage of using this type CRM is that you can use it one any device and on multiple Web browsers to instantly access your required data. This type of mobile CRM application is useful organizations where the users want their freedom to use different devices and do not mind the unavailability of their information when they are offline. If you want to opt for this type of Mobile CRM, you will have to install a client side application, which will interact with your CRM vendor’s server. 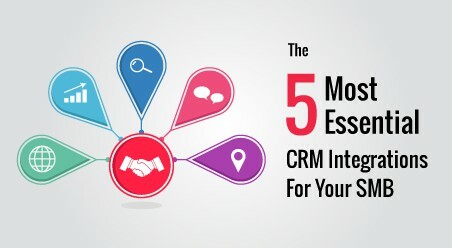 Unlike Web-based Mobile CRM, these CRM offers limited offline usage, but on the flip side, these CRM applications are device and platform specific and are much more costly than the former one. There are 3 levels of mobile maturity which you can choose from while buying your CRM solutions for small business, depending on your business requirements and goals. This is the lowest level of mobile CRM usage, whereby the system provides the field staffs access to personal productivity tools, like calendar, contacts, and emails. Using this information user can stay on top of their personal schedules and keep up with their customers and colleagues. The next level of mobile CRM usage gives a larger subset of mobile workers in your organization the access to your corporate database. For effective synchronization of customer data and emails, organizations usually deploy an in-house server for this type of CRM usage. Moreover, this type of usage of the CRM also helps in accurate sales forecasting and so increase the productivity of your entire sales, marketing, and customer support team. In the highest level of mobile maturity, your staffs have the real-time access to your entire business data. 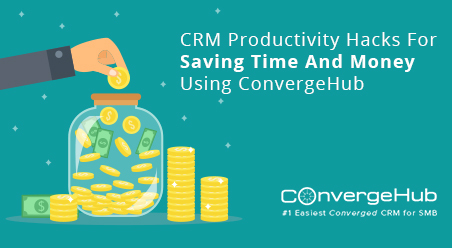 Therefore, field workers those who use mobile CRM of this type can have full functionality of the CRM with just a smartphone or tablet, as it is found in converged CRMs like ConvergeHub. Which is the best mobile CRM? In fact, there are no one mobile CRM solutions for small business, which you can label as the best. For a CRM ideal for one organization might be a sheer disappointment for another. 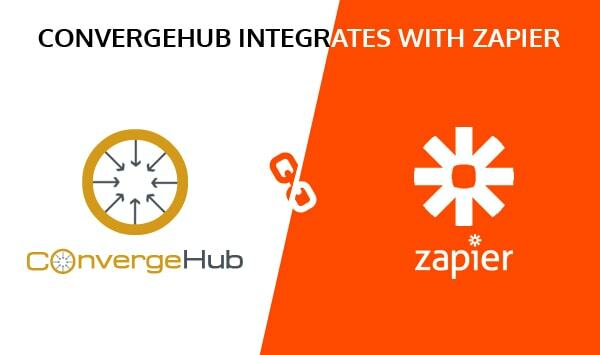 However, if you are looking for one Web-Based Mobile CRM that is #1 easiest converged CRM for SMBs, you can opt for ConvergeHub, which is an ideal CRM designed for your small-scale business needs.